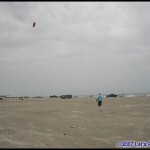 Six years, Let’s Fly A Kite opened for business in 2001. 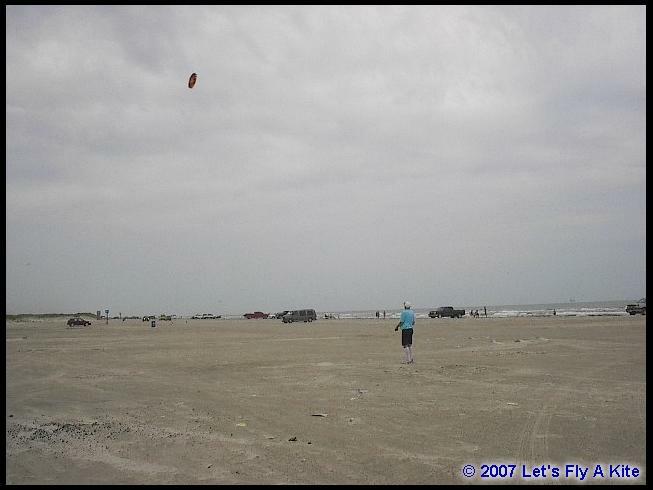 Let’s Fly A Kite was started in September 2000 by Tom Borges & Doug Reed…. 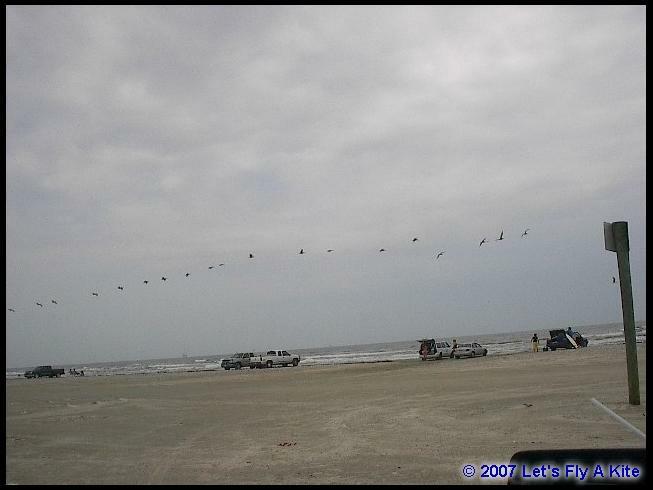 Two guys in Texas who love the beach and flying kites. The brick and mortar store closed in 2007 when Tom left to pursue other interests. 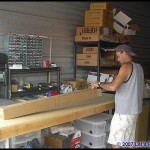 Doug maintains the on – line business with the help of his boys, Todd and Billy. Todd Tarno is the accountant and Billy Kane manages the warehouse. Depends on the day, today, its hot dogs cooked on the grill. My own (that’s the one I see most). And, of course, Kitelife. 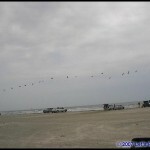 Newport Pass, Corpus Christi, TX. 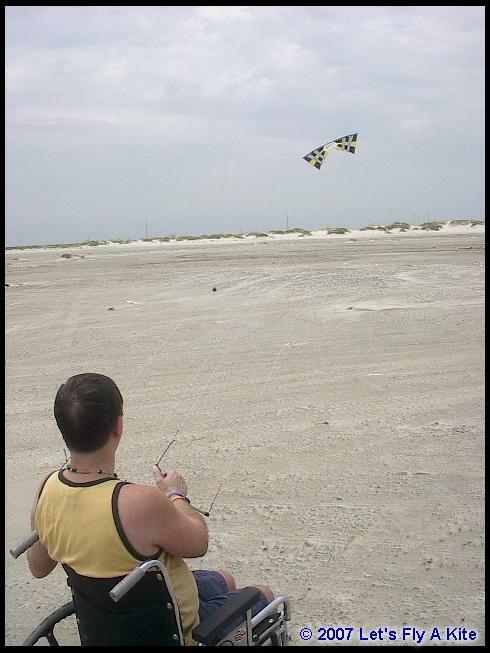 We carry all kinds of kites…Even the ones with bow tie tails. Needed something to support my “habit”. I had also just retired from repairing copy machines. Was to a woman who had recently retired. Now she had time to do things she had always wanted to try. 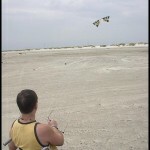 She started with an inexpensive stunt kite and after a few months came back to get the biggest stunt kite she could afford because she was having so much fun! She thanked us for not letting her buy a single line kite. 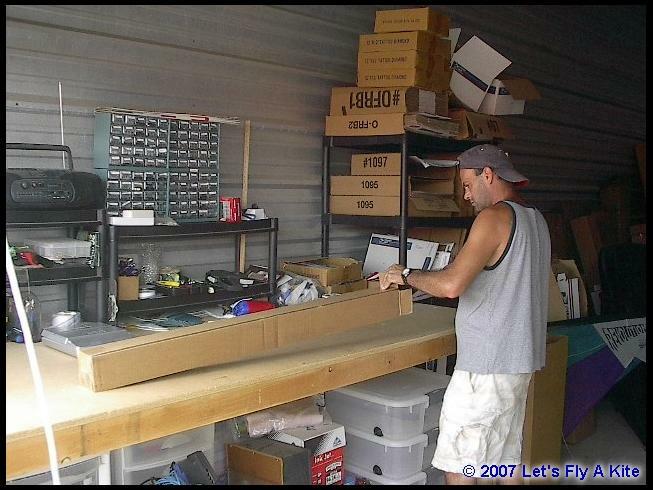 This entry was posted in 2007, Featured Store, Issue 55 (Jul/Aug), Kite Columns, KL Archive and tagged kite shop, Lets Fly a Kite, store.